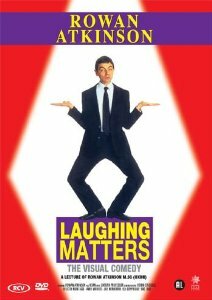 In my first post about this project, Alan suggested that I should watch Laughing Matters (1992) - a documentary, presented by Rowan Atkinson, which explains the different types of Comedy, but is predominantly based around visual Comedy. I wrote a lot of notes while watching this, picking out the key points that he makes and by doing this, I have a clearer image of how the Animation should work, as well as how it is made. Ironically, he raised a point that I too have considered, which is that old, silent film comedies don't have the same impact on today's audience, as they did when they were released. He used Charlie Chaplin as an example, by saying how modern audiences don't find him as funny. He elaborates by saying that "it's hard to identify with him" and is difficult to get "involved" with what he is doing. "If you identify with a comic attitude, you'll laugh"
This is, therefore, one such challenge I'll face, especially as it is, of course, for modern audiences. If I can make the audience relate to the subject matter and, most importantly, the character they'll enjoy it more. As I mentioned earlier, this spoke primarily about visual comedy, and how the character needs to be "portrayed". Many different aspects of the character can lead to the audience understanding who that person is. What they wear, how they move, how their face/body move etc. - all these things can be done in different ways to suit different types of characters. Innonence, however, is perhaps the most important aspect of a visual comedian - like he was born yesterday, or is an Alien completely unaware of what he is doing. Harry Langdon is one such comedian that he mentioned, and said that some one was said that he looked like "a baby-faced dope fiend". Moving on from this, I will continue watching/finding videos like this, as well as watching some more silent films, so that I can expand on the running themes and could even take old jokes and turn them into new ones.